It was a perfect day in Mexico at the beautiful Azul Sensatori Resort by Karisma where Jonathan and Carrie vowed their love to each other. A group of family and friends gathered at the wedding set in front of the amazing turquoise blue ocean as so much love and emotions filled the air. After a beautiful beach ceremony, the new bride and groom hosted a cocktail party, succulent dinner and a party celebration with lots of dance moves. Congratulations to Jonathan and Carrie! The dock was our favorite photo spot with the bride and groom. Jon and his friends gathered in his room before the ceremony for some final male bonding time. The bride was a beautiful site during her final prepping in her room. 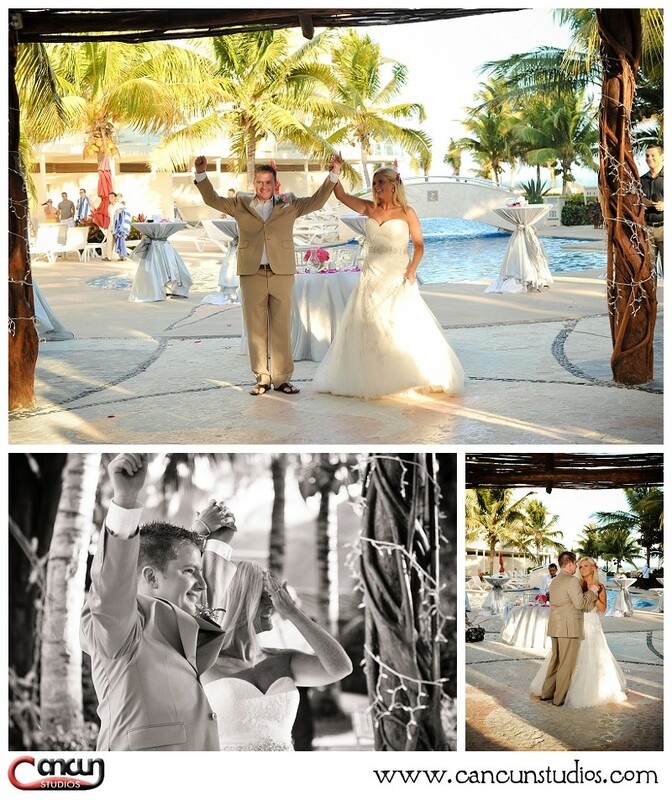 The Azul Sensatori resort is an amazing destination wedding location. The bride’s entrance is our favorite part of the wedding. Congrats to the new bride and groom! The wind is always an ally for us when photographing, it always adds a great touch to the bride’s hair during photos. This was a fun moment with the bride and groom as they walked along the dock. Proud moment for our groom as he showed off his new bride at the reception. Amazing night scenario at the Azul Sensatori.